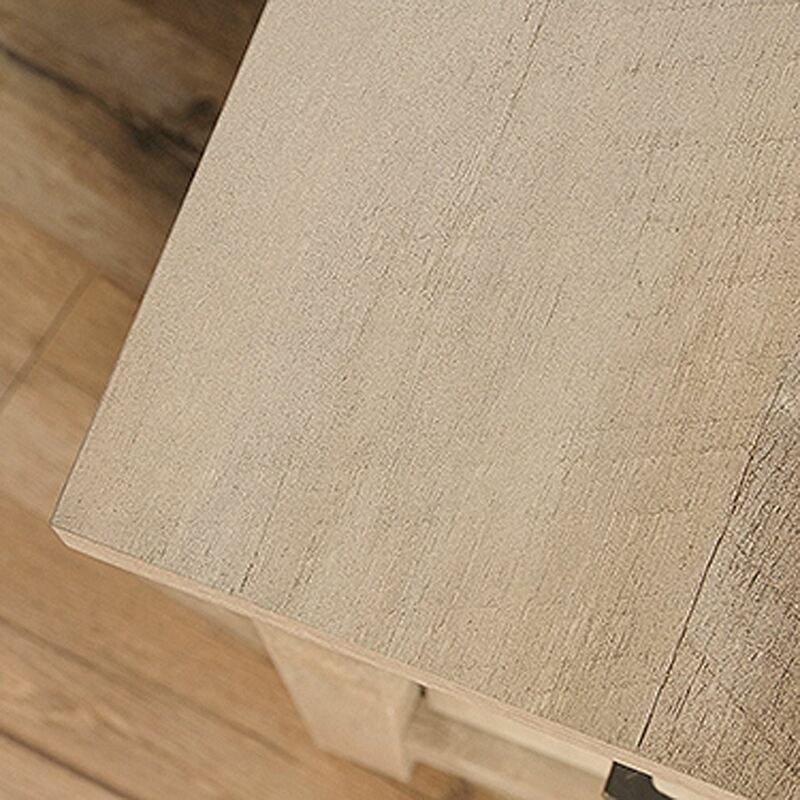 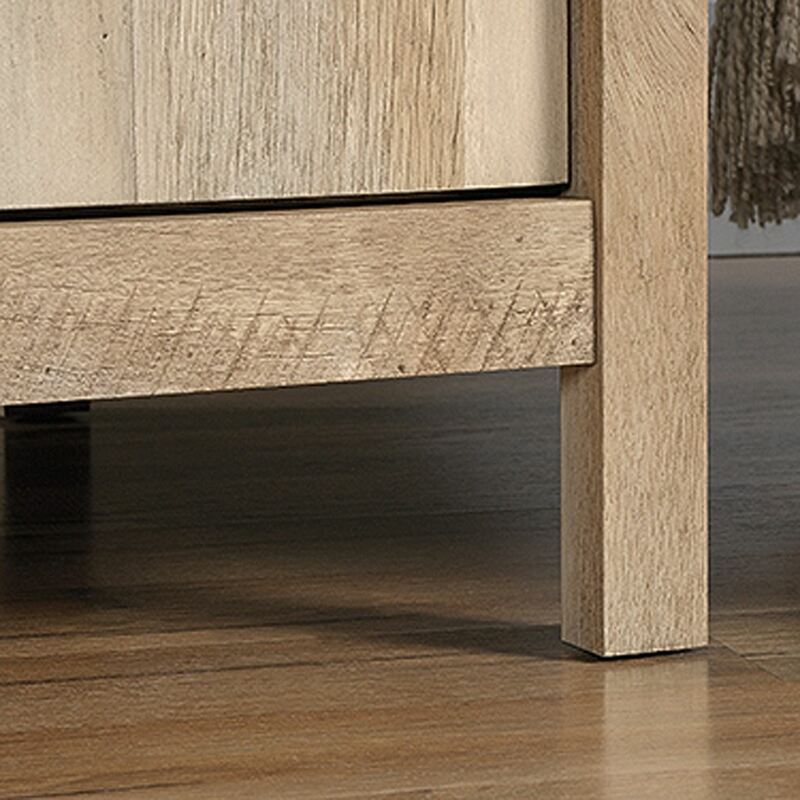 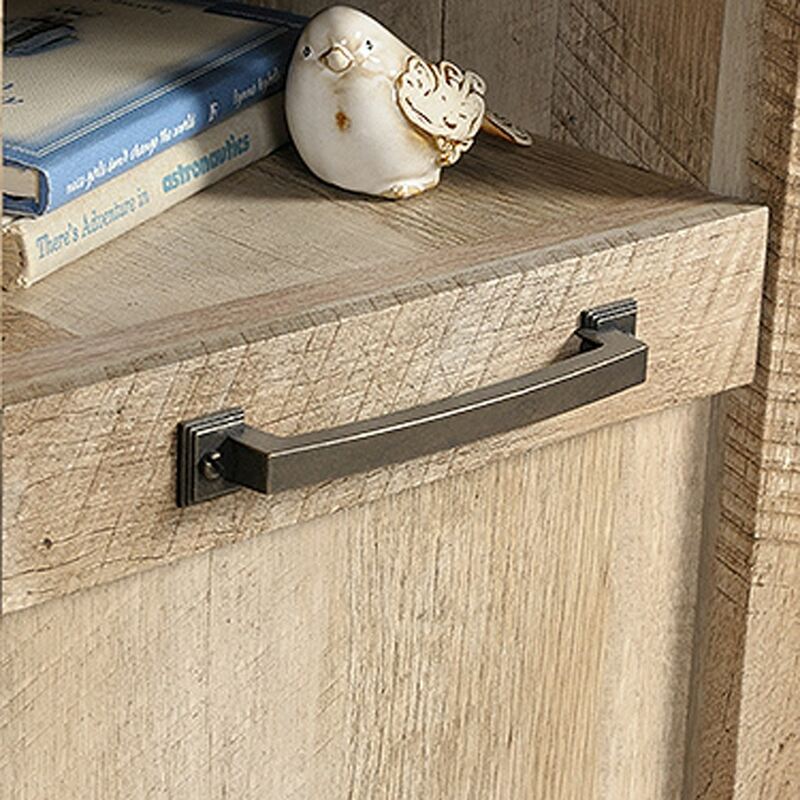 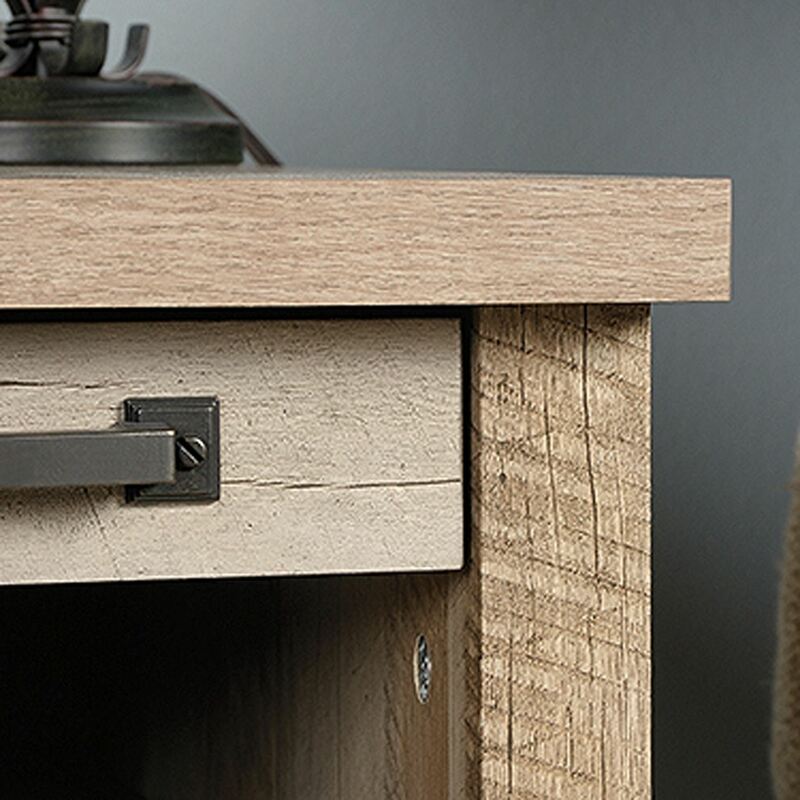 Cannery Bridge Side Table Lintel Oak By Sauder. Enjoy a classic look with vintage appeal with this side table from the Cannery Bridge collection. 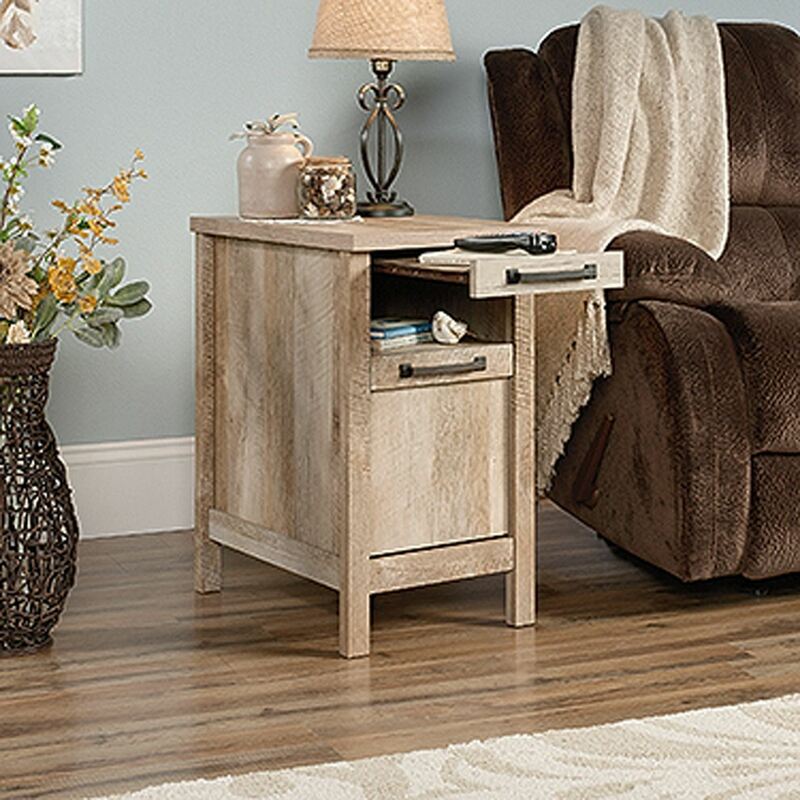 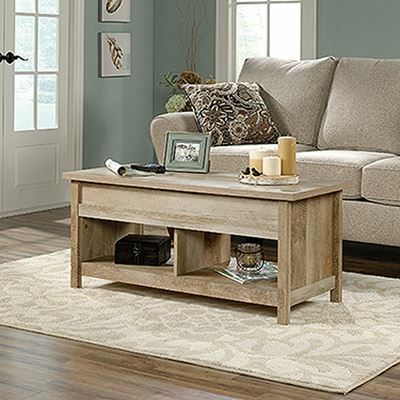 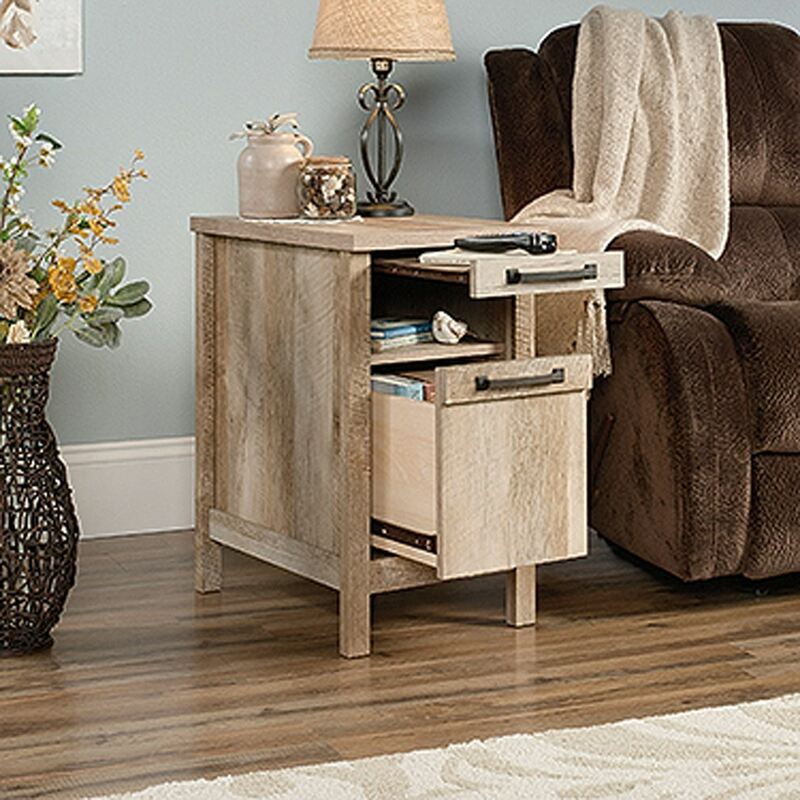 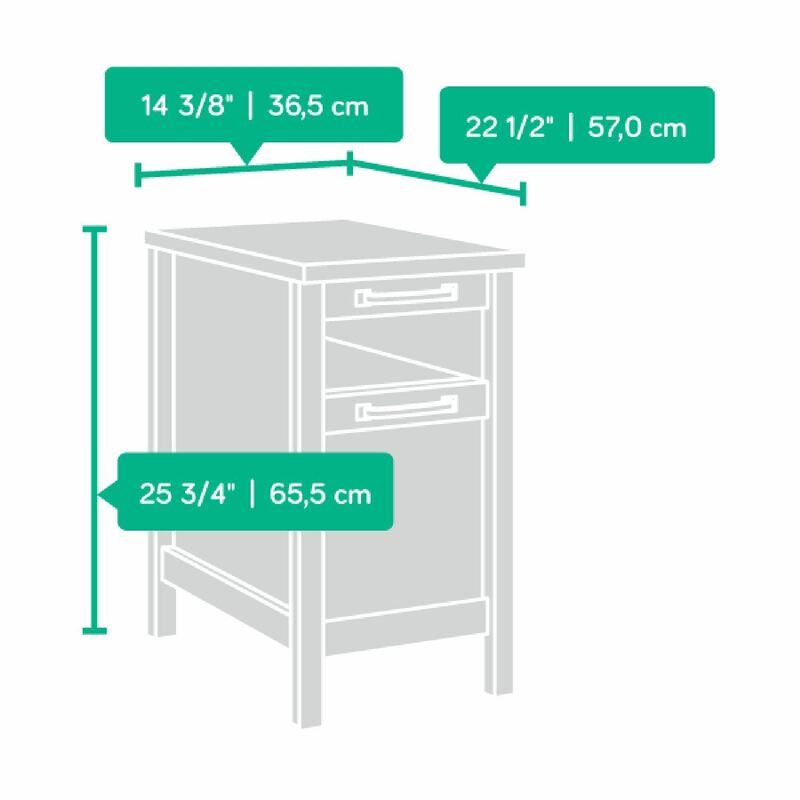 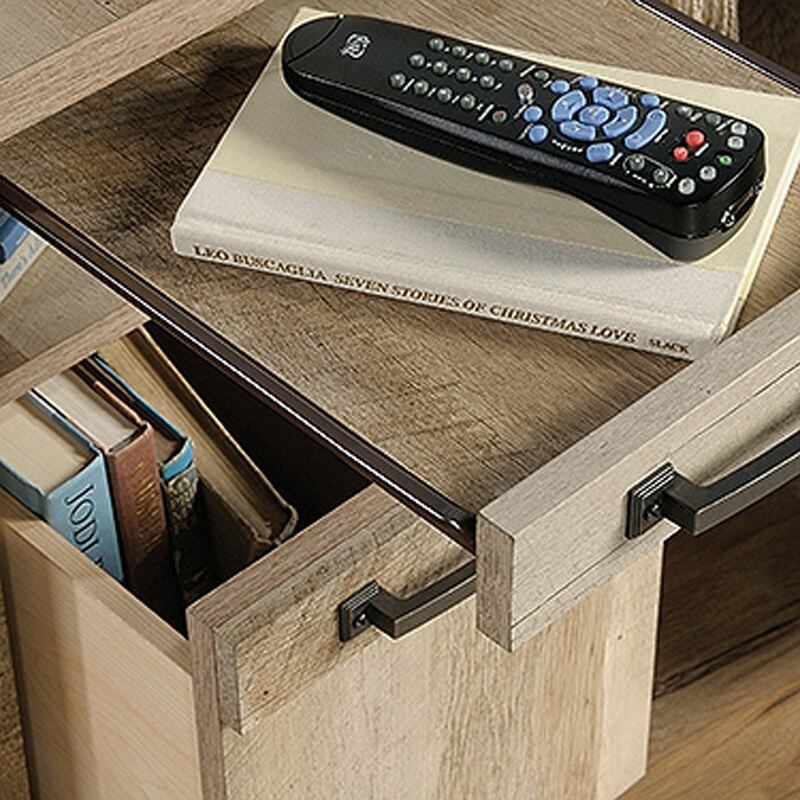 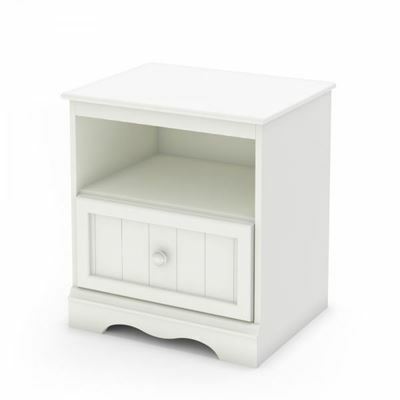 This end table features an open shelf and pull-out shelf for storage along with an easy-to-access drawer for all your other storage needs. 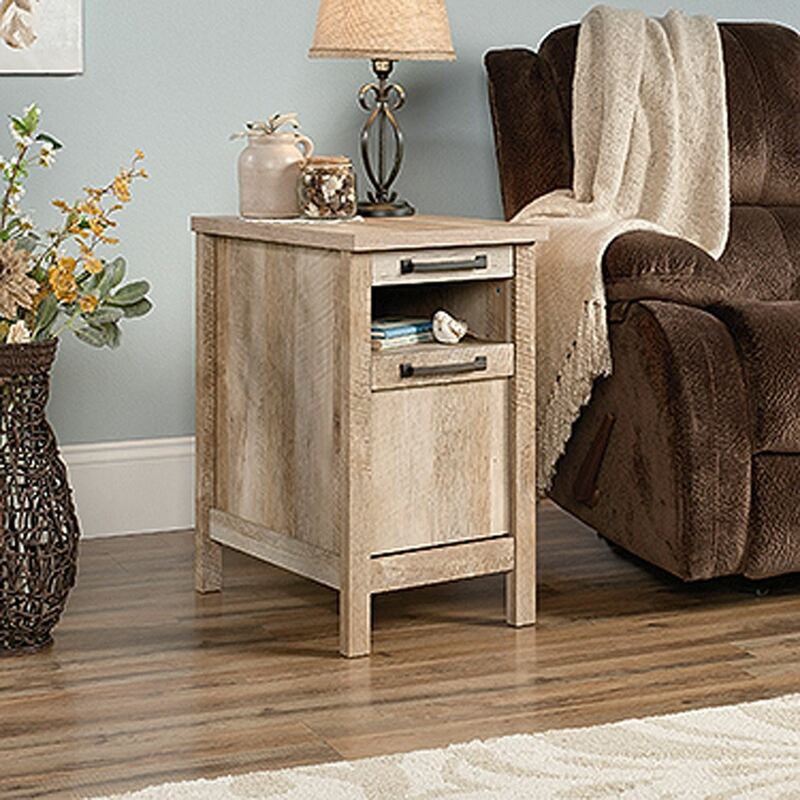 Clad in repurposed Lintel Oak accompanied by custom hardware, this end table provides modern functionality for any room in your home. 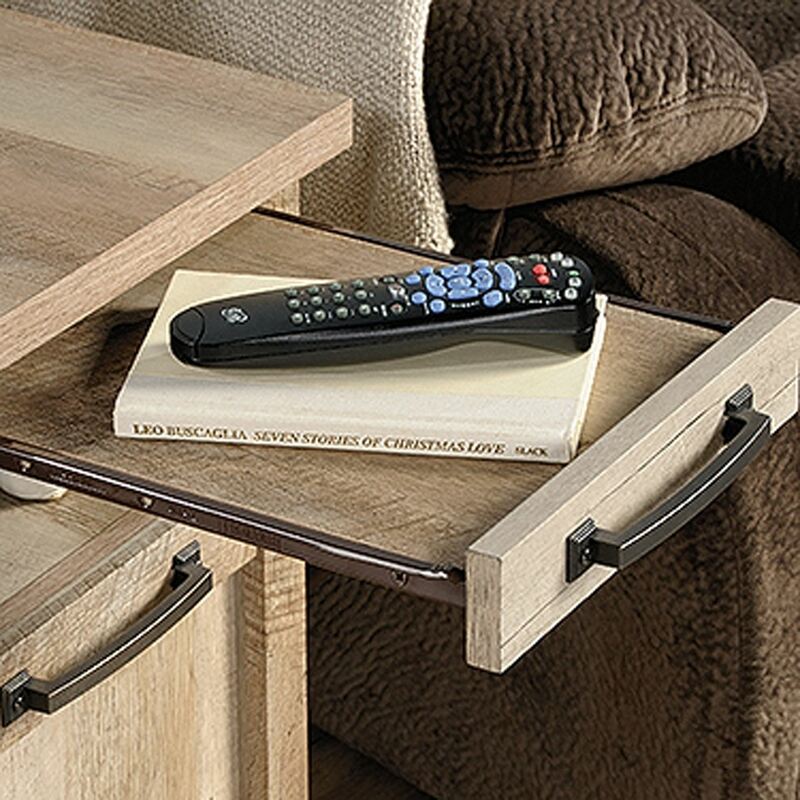 Pull-out shelf with metal runners and safety stops.